Macbeth was written by William Shakespeare. Macbeth was published by Palgrave MacMillan Ltd. 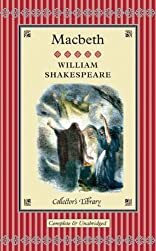 Subjects of Macbeth include 11th cent., 1564-1616, 1564-1616., General, In literature, King of Scotland,, Literary Criticism, Macbeth, Macbeth,, Regicides in literature, Shakespeare, William, and Shakespeare, William,. About Alan Sinfield (Editor) : Alan Sinfield is a published editor. A published credit of Alan Sinfield is Macbeth (New Casebooks Series).